Thanks for tuning in to the Bonfires of Social Enterprise. This is Romy, and I have a friend of mine on the episode today. Latrice McClendon is quite an entrepreneur and just an all around amazing person. On this episode, we will hear about one of her businesses. She has at least one other venture with her husband. And, of course, you know I love music around here, so we will hear from another Detroit artist and their full song at the end of the episode so stay tuned! Luke has our Fun Fuel today, let’s see what he found for us…. While on the topic of infant health care, did you know that around 255 babies are born each minute? So for the time, it takes you to brush your teeth, nearly 300 new lives are brought into this world. It is also estimated that 353,000 babies are born in one day around the world. So far this year, over 78 million babies have been born. Thank you so much for taking time to listen to this fun fuel! Enjoy the episode! Thanks for that fun fuel Luke! Time to check in now with Latrice and see what she is up to with beautiful mama’s and their perfect little babies…. Alright so welcome Latrice Mcclendon from Impact Community Health, I am really excited you're on our show. Thank you, I'm excited to be on your show. Our little podcast. We love our little podcast. So you were one of the winners of the program there, and I got really excited right then to put you on the podcast as a guest. So, for our listeners, let's tell everyone what Impact Community Health is in the Detroit area. Awesome. Hello, everybody. 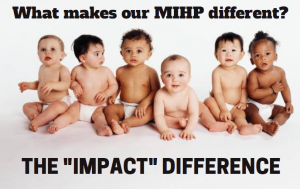 Impact Community Health is- we are a maternal/infant health program here in Michigan, and our main goal is to reduce infant mortality rates. We work with pregnant women, caregivers of infants up to 18 months who are Medicaid beneficiaries, and we address the psycho-social issues and any logistical barriers that a lot of women or children are faced with as far as having either a healthy birth outcome, or any barriers that are [inaudible 00:01:27] and making it to their first birthday, and of course, developing up to 18 months. So that's what we do, we focus on reducing infant mortality rates. Your business- so what do you do then? What does the business look like? So what we do, we actually send in social workers and nurses to educate, to encourage, to give all kinds of information on how to either take care of yourself while you're pregnant or how to take care of your baby. So we also have lactation consultants that we send in. We do parenting classes to educate. So our biggest mission is to educate. And we do that because a lot of people- you can't do what you don't know. And sometimes we take for granted- we take for granted a lot of times like, oh they're having a baby, or raising a baby is easy, and people should know this. But we found out that there's a huge population of people who just don't understand what it takes to have a healthy pregnancy or get their child and have up to- I'm sorry, have their child healthy up to the age of one or 18 months. A lot of babies don't make it. [crosstalk 00:02:56] so one of the statistics I like to tell people in Michigan: Michigan's infant mortality rates are comparable that of a third world country. We have very high infant mortality rates in Michigan. For out of every thousand babies born, just in general, seven die due to- could be, maybe they slept wrong in their crib, or they weren't in a crib, they were in a crowded bed. It could be smoking issues in the house, suffocation issues. It could be parents who don't know you can't leave your baby in a hot car. We deal with so many issues that really people just don't have the understanding, and that's seven out of thousand. In Detroit, that statistic is actually tripled. And so we're on a mission to reduce the number of babies who don't make it to their first birthday. That is crazy that it's that high. That's- how did you start to even- how did you even decide to tackle this yourself? Yeah, it's very high. Well, you know, honestly what happened was, before I got into doing this I actually had a personal experience. Not with myself, but I had a nephew who was five months old, and his mother left him in a bed, and the bed was close to the wall, but not close enough where it was like- there was a space. Well, anyway, she left him in a room for maybe 10 to 15 minutes, the baby rolled over and suffocated between the wall and the bed. And it was very devastating. Yes. It was devastating. It was devastating to my nieces and nephews. It was devastating for myself and my brother, you know. Everyone was just in shock and couldn't believe- cause, you know, no one thinks that this kind of stuff actually happens, and then, when it hits your family, it makes you think like, "Wow. You know, I didn't even know this kind of stuff existed." You don't think that it could happen to you. And so within the last two years, I was presented with the opportunity. I was working with a social worker, and we were talking about another infant who had passed away from a pillow being in the crib. And the pillow- the mom woke up, she left the pillow, the baby was under the pillow when she woke up. She lost her baby. And so I got really concerned, and I asked one question, "What can I do to be a part of this and help to reduce and get the word out?" And I started doing some research and found out that Michigan has many programs that allow people to work in this particular area. So I applied for the program. It felt like a 300-page application. [crosstalk 00:05:48] [inaudible 00:05:48] and today we're servicing over 100 women. I mean, we're really making an impact right now. Wow, so this is really- this will probably come up as question. So you applied for a state program that- did it have funding Latrice? For you to get started, is that what you mean when you applied? Well, you have to meet certain requirements. You have take online classes. We applied to be an agency, in the state of Michigan. Oh got you [crosstalk 00:06:22] okay. Yeah, so there are some hospitals and- matter of fact, the city of Detroit just opened up a maternal/infant health program, because it's really- the rates are really high in Detroit. So it's becoming a health issue, just across the board, so they allow individual agencies, as well as hospitals, and people who are in that profession to actually be able to start a company. So they just take you through- it's a big process, just like starting a business. You have to have a business plan, you have to have a location, you have to know what you're marketed plan is, what your strategy is to get clients, who your clients are gonna be, and so what your budget looks like, and you have to have the right amount of people hired. So it's just like starting a business, it's just with the state of Michigan, and we are- we do take Medicaid, so they want to make sure that you have no fraud, and you know all that kind of stuff, they background check, and so on. Yeah, so great. So it wasn't necessarily the funding, just for clarity there, you applied to the agency, and then your revenue then comes from the Medicaid program in the US, right? Exactly. So, yeah. There was no funding. They were like, "Hey, you've been approved. Go run with it." So the funding was- we're like, "Well." You know, and a lot of funding came out of our own pocket actually to get the business up and to go. Okay. That's great. So this is just a whole nother type of it, and we know, in many countries around the world, some governments have funding for things like this, some doesn't. So it looks like our government, in the US, is providing some for this type of thing; which is great. And Latrice, why do you think someone hasn't tried to tackle this before in Michigan, especially the Detroit area when those stats are so rough? You know, I think that people have tried to tackle it. There are other agencies. It's just there's so many people dealing with the issue, that it's like having a pie, and I'm not feeling greedy enough to want the whole pie, but I just want like my slice in the pie. Meaning I know I can't help everybody, because people are trying- so I believe they've working on this, it's just such a hard [inaudible 00:08:40] population, that sometimes- that we work with, and when you don't know that you should do better, you may not know that you need the service. Right? If you're a client of ours. And it's sometimes hard to talk to people or deal with people, who may not think they need something. You know, maybe it's like they're not necessarily gonna have this issue; but then when the issue strikes, they realize, "Wow, I could have used this service." I think [inaudible 00:09:07] opportunity. Yeah. Right, right. So how are you doing it differently? How are you finding the potential clients then? So we actually work with a lot of- we- our focus is Detroit. We do service other counties in Michigan, but we focus on Detroit, and we work with- so we're out in the community. So we might throw our own community baby shower or fair. We're actually going to specific places that only have Medicaid beneficiaries. So it's- maybe if this particular healthcare- health company only takes pregnant women who are on Medicaid, we go there. We say we have this service. You know, while they're seeing you as a doctor, we're allowed to go in their house and talk to them. And so we're knocking on the doors of people, and companies, and agencies who work with the population that we're looking for to get the word out. I know everyone's saying they're fine, but the statistic says they're not. So we're here to help. And so we're just really- our approach is getting with as many community agencies as possible to get the word out, and to let people know how high the stats are. You know, it's funny, every time- I'm not the first agency in Michigan to do this, or the last [inaudible 00:10:33] probably- the maternal/infant health agency, but every time I talk about it people are so shocked about the rate, and that lets me know that we're not talking about it. That lets me know that it's out of sight, out of mind for a lot of us. Including myself, because I have three babies, didn't know the statistics were so high, and I live in Detroit. So I'm- technically could be a part of that statistic, you know what I mean? [inaudible 00:11:00] and it was out of sight, out of mind for me, because you think that people have a true understanding of how to take care of themselves while they're pregnant, or how to take care of their babies. Yeah, that's huge. Well, I'm so glad that you're on the street doing it and you touch on something that I think is really common to social enterprise in general. It's you gotta be out and building relationships with your potential customers and beneficiaries. It seems so obvious, but so many miss it. I think there's a lot of folks that run to the, I don't know, the place base of social enterprise thinking it's gonna be super fun, but the reality is, we're all human beings, and we all got our own issues, and we gotta get in places of relationship and trust with each other to really make real impact. At least that's my- I don't know, my Romy opinion. We all wear clothes, and there's somethings that we can find in- a commonality to break the ice, and then offer our help through our businesses. Sometimes we just push our businesses on people that- you know, I was that people don't care how much you want, till they know how much you care. And- yeah. And I feel like the social enterprise including- especially what we do, is important. It's so important that we let people know that we care about them. We care about their livelihood; we care about what's going on in their house, their children, their health. As we do that they- I found that the response is usually, "Okay, I'm interested. What can you teach me? I'm extremely interested." But it comes from really getting out here and doing it in all directions, just absolutely. Yeah, so good. And before- and another time we were talking, we were talking about your business being turnkey. I think that's and interesting concept to touch on. Would you mind defining what a turnkey business is? Just in case someone doesn't grab that terminology. Yeah, so I do consider our business to be turnkey because we deal with Medicaid beneficiaries. We provide a service that is ready for immediate- that's what turnkey means. Basically, it's just like when you go into a convenience store. I get a bag of chips; I pay the person for the bag of chips, I walk out with the chips. 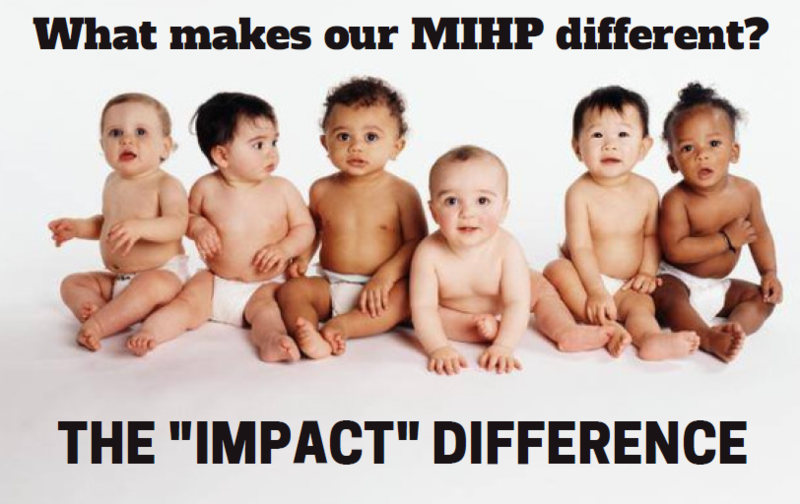 Impact Community Health, we are a turnkey business. We provide a service, we send our social worker, our nurse, our lactation consultants into a home and we get paid for that visit. Of course, I have to add- we make a social impact every time we go into that home; but we get paid for that visit, and we get immediate release of our funds, and we provide immediate service. Yeah. So I'm very community focused and one of things, when I considered becoming an entrepreneur, or going into business for myself, I was concerned about- you know we're always worried about money. Because at the end of the day, of course, we want to make a social impact, but you gotta make some money [crosstalk 00:14:26] in order to keep the business going. I'm mean that's part of business, right? And you gotta be able to pay your employees, so ... In reaching the community, I wanted to find something that was a little bit turnkey, where we got the money- we were able to generate a revenue so that we can open up other things that are of interest to us as a company. So we understand- and for us, for me, in Detroit, there are issues with health or issues with education, and sometimes we find they go hand in hand. And so we decided like, okay we want to open up some type of avenue for the women that we are meeting- and not just women, people that we're meeting, getting some type of education, so they can get a job. And maybe it can take them to the next level in their life. Well, in order to do that, we have to figure out- okay, we need money to do it. And so the turnkey part of it allows us to go to the next level in our business, maybe. You know, we're working on the educational center now, and somethings won't be so turnkey with the educational center; but we have the money from the [inaudible 00:15:38] maternal/infant health [inaudible 00:15:40] because it is turnkey, is able to help us to support other ventures that we're looking at doing within our company. Yeah, yeah. That's great. That's so great. So, it's nice- so [inaudible 00:15:52] that's a nice model, I think. You've got one area that's turnkey, it's kinda one and done; you go in, you deliver your service, and that almost gives you the opportunity to go in then and develop other ones. Yes and we budget for that. So in our business, we take a certain percentage, and we put it towards things that we may not get money back from. Right? We may not make a profit off of because we're dealing with a different type of population. And so- including we have a cribs program where we help to give out cribs to people because that's like- you know, when a baby dies just because they're in a bed with someone, because a person doesn't have a crib, that's really ... That's 100% preventable. And so we- you know, with us wanting to get cribs in everyone's homes and make sure they have the right equipment, and the right things to take care of their baby, that's- we're not gonna get a profit off of that. We're not selling them the cribs; we're giving it to them. And the turnkey aspect allows us to do that. Ah, okay. Alright, so that's really good. And so, I think what we've been talking about, on this podcast, is you can do that in one of two ways. You know, we always say if you've got something that you're doing because of your mission, you can say this is part of our impact, part of our cost to do it. Or sometimes people do that as, what they call, traditionally a loss leader. They're doing it to invite more sales. So that's very cool. So as social entrepreneurs you can do it one of two ways. You can say, "Hey, I do this to give it away. It's part of my mission. It's part of our integrity and our overall authenticity of our company but is also gets us sales. And other times we're just doing it because it's sort of a necessary thing to help with the impact, or give back as a social enterprise." Either way, it's [crosstalk 00:17:43] really neat that you're doing that. There's just so much terminology floating around. We like, on this podcast, to kind of help center people on different ways you can do things. It's great. Well, I don't wanna keep you too much longer. This has been amazing so far. We would love to kind of circle back with you over the seasons and keep a documentary going about what you're doing if you're good with that. Awesome. Yes, that's exciting. I'm excited about this podcast as well. I'm actually got on the website today, cause I'm like, "I have to listen to other people who talk about social enterprise." So I'm so excited about this. That's great. Well, thank you for that. And thank you to all of our listeners out there, we really appreciate all of the countries that are following us. Gosh, you guys are so loyal and so wonderful. Please reach out to us if you are a social entrepreneur in another area, we wanna talk to you. 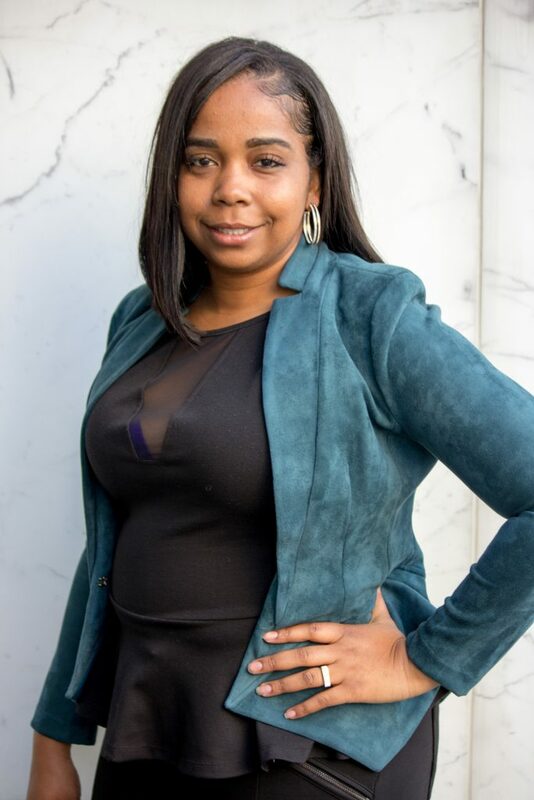 So, as we close it with you Latrice, and your Impact Community Health, will you let us know how that we can all reach you on either social media or your website? Absolutely. So, we are on social media. We're on Facebook, of course, and we are under Impact Community Health, as well as Instagram under Impact Community Health. You can email us at ImpactCommunityHealth@gmail.com. Or visit our website at www.ImpactCommunityHealth.com. And our phone number is 313-694-4386. Ah, so great. Latrice, thank you so much for taking the time. We love what you're doing. Thank you for everything and such a valuable service. And everyone reach out to Latrice, and send her business, and support her work. Oh, well thank you so much. I appreciate the opportunity to be on your podcast. Latrice, you are the best! By the way guys, she is an amazing person to hang out with. I have had the chance to spend some time with her on a few other occasions. She is a true leader. Okay! Let’s see who our friends at Assemble Sound have curated for us on this episode…Oh, Yes, my new favorite group, The Infatuations with their song ‘Yesterday Morning’ from their album ‘Detroit Block Party’ Where is that block party? ‘cause I want to be there! Here you go, everyone…Enjoy!